A 14-year-old boy has been left with the body of a 110-year-old in India because he has a rare disease which makes him age eight times faster than normal. Ali Hussain has seen five of his siblings die from the same condition called Progeria which is known to affect just 80 people worldwide. Two of his brothers and three of his sisters have died from the disease in Bihar, the poorest state in India. Sufferers are not expected to live much beyond the age of 14 – but despite the grim prognosis Ali has refused to give up hope. ‘I very much want to live and I hope there is medicine for my condition out there. I’m not scared of death but my parents have suffered a lot,’ he said. Ali’s parents Nabi Hussain Khan, 50, and Razia, 46, are first cousins and were the product of an arranged marriage 32 years ago. 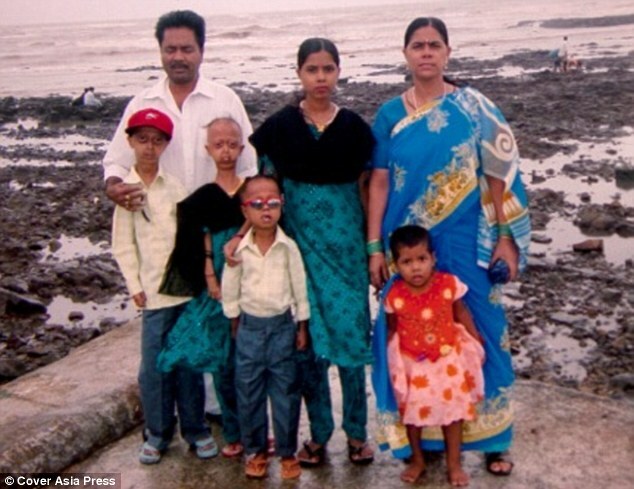 Their children Rehana, Iqramul, Gudiya and Rubina have all died from Progeria between the ages of 12 and 24. A fifth child, a boy who died within 24 hours of being born, is also thought to have had the rare condition. Nabia and Razia, who have had eight children in total, do have two healthy daughters – Sanjeeda, 20, who is married with two children of her own. 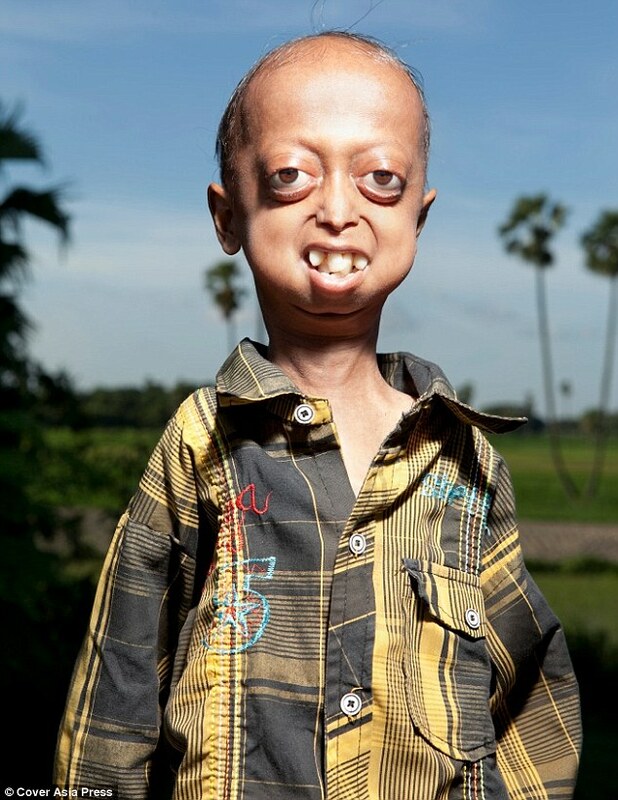 Their youngest daughter Chanda, 10, also does not have Progeria. When their first daughter, Rehana, was born in 1983 they had no idea anything was wrong at first. It was only after her second birthday when she couldn’t eat or walk properly did they visit a doctor. But the doctor was baffled and he sent them home with some medicines. Progeria was so rare and poorly documented that most doctors had never heard of it. If you're mentally disabled, physically disabled, if you don't fit in, if you're not as pretty as the others, you can still be a hero.